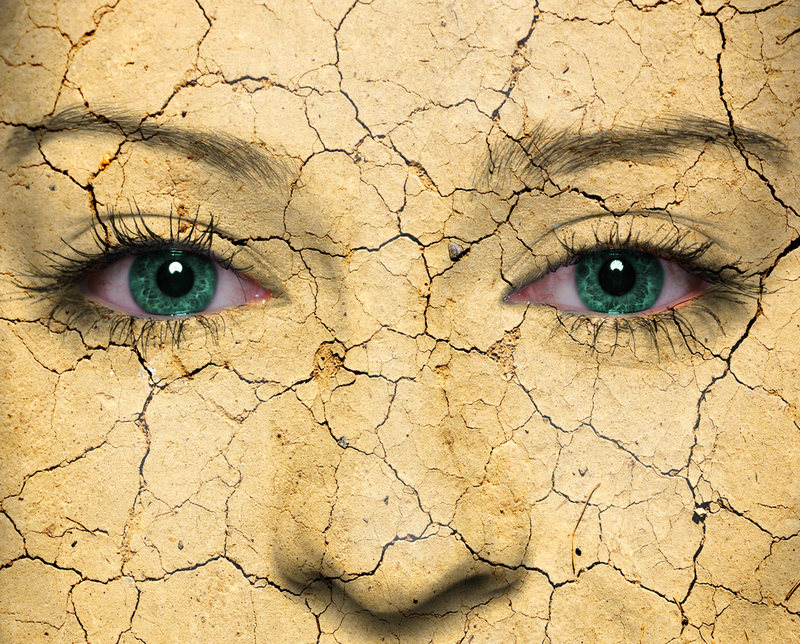 Looking for the best remedies for dry skin? Several people at the markets tell me they are on the lookout for a great facial moisturizer because they suffer from dry skin. But when probing, I find that many of them could do with a far better and organic facial cleanser. I think cleansing is the most important part of your skin care regime because without a great cleanser your moisturizer can only go so far in restoring 100% of the loss moisture and damage caused by cleansing stripping agents. So what is a great facial cleanser? One that not only does a great job of cleansing the skin and loosens dead skin cells but one that does not strip lipids and moisture from your skin. Put simply, they are the oils and fats that make up the oily parts of the skin. They diminish as we age but we can also find them in vegetable and nut oils to supplement some of their loss over time. Why are lipids so important to the skin? Lipids have moisture-binding properties which reduce moisture loss in the skin. Without moisture in the surface layers of the skin, the skin’s elasticity, strength, appearance, barrier function and skin’s immune system is compromised. Lipids diminish as we age but exposing our skin to chemicals and free radicals compromises their structure and function earlier on causing premature aging of the skin. What impairs lipid and moisture function in the skin? Topical chemicals found in many skin care products, sun damage, smoking, poor diet and exposure to pollution can damage skin barrier lipids, collagen production and the skin’s cell structure which leads to not only premature aging but other sensitive skin conditions and serious health issues.Chemicals found in skin care cleansers that are known to strip skin barrier lipids include Sodium Lauryl Sulfate (SLS) or similar Sodium Laureth Sulfate. SLS is a harsh detergent used as an engine degreaser and garage floor cleaner but also found in shampoo, soap and facial cleansers. Benzyl Peroxide is another harsh chemical found in many cleansers aimed at those with acne. Benzyl Peroxide has been linked to cancer and leads to over-drying of the skin, slows down the skin’s natural ability to heal itself and disrupts the skin’s natural ability to produce oils and healthy moisture.If after cleansing your face feels tight, feels stripped of its natural oils and or has lost that natural glow, it is time for a new organic facial cleanser.By changing the cleanser to something natural yet nourishing for your skin, you’ll find you’ll be less reliant and frustrated trying to find that magical moisturiser that will create miracles for your skin. In these situations, if you have a poor cleanser that strips your natural oils and damages your skin cells, your new moisturizer (regardless of cost) will marginally make a difference to maintaining moisture in your skin and delaying premature aging. What makes a great organic facial cleanser? You don’t need to use harsh chemicals to clean your face and kill bacteria. As as a starter, look for a 100% natural cleanser. This will ensure that the product is free from any harsh chemicals and its adverse side effects listed above. However, the highest quality cleansers are those that are closest to 100% organic. This ensures that the raw natural ingredients sourced are grown without the use of chemicals or pesticides in soil.Great ingredients to look out for in a great cleanser include 100% Organic Aloe Vera – this a fantastic base which is both soothing and moisturizing for the skin, anti-inflammatory oils such as Evening Primrose, Flaxseed oil (high in fatty acids) that help calm the skin from irritation and inflammation, Jojoba is also a great oil which mimics the natural producing facial oils and sebum which tricks the skin into thinking it has produced enough natural facial oil. Some essential oils that are important part of a cleansing, healing, anti-bacterial and anti-inflammatory regime include Lemon Myrtle, Clove Bud, Neroli and Sandlewood. By using a cleanser with the above ingredients you will not only cleanse your face well, but you’ll be adding wonderful nourishing ingredients feeding your skin cells, be free of toxins and adding back that wonderful healthy facial glow.Give yourself a couple of weeks when making the transition from your existing cleanser to a natural and organic cleanser so that your skin has enough time to adjust to the new natural and organic ingredients. Always test your products first on a small area of your skin to ensure you do not break out as some people may be allergic even to natural ingredients. Otherwise, natural and organic skin care products are the safest and best skin care products to use on your face and body. Supporting women’s health and well being!